There are a lot of fallow deer especially on one of the hunting areas. I have been very careful with the population during more than a decade and shooting one or two deer’s per year except for last year when I increased the harvesting a bit. We made a rather large feeling last year in February and in May we planted new forest of pine and spruce threes. The cutting areas are very popular places both for fallow and roe deer´s to fed at. In the morning of the season start a friend and I took two stands and waited for the animals to come out. 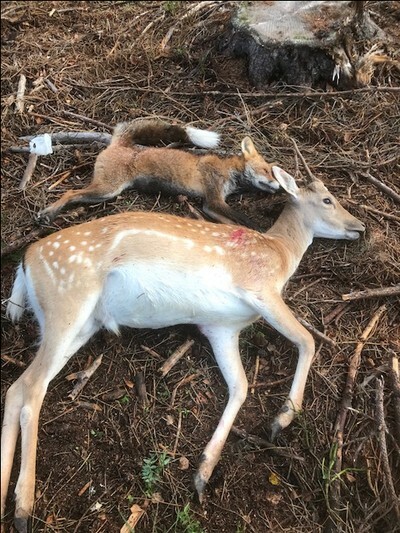 In my stand a fox came after an hour and a well-placed bullet went into the fox on a distance of 20m, it died instantly and 30 min after a small boar appeared but the speed was high so I let it pass. 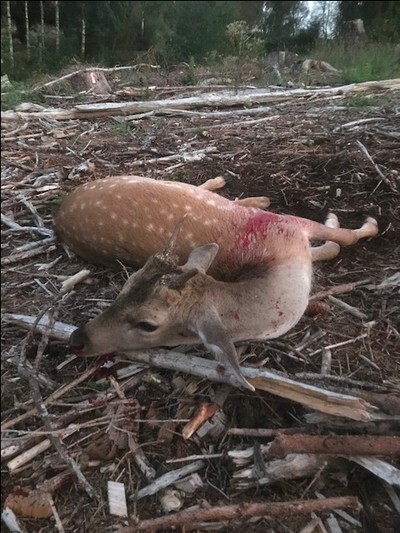 My friend was fortune and got three male fallows and managed to shoot a spiker. The day after I took the same stand and shot additionally one spiker that were out on the cutting area feeding spruce plants. 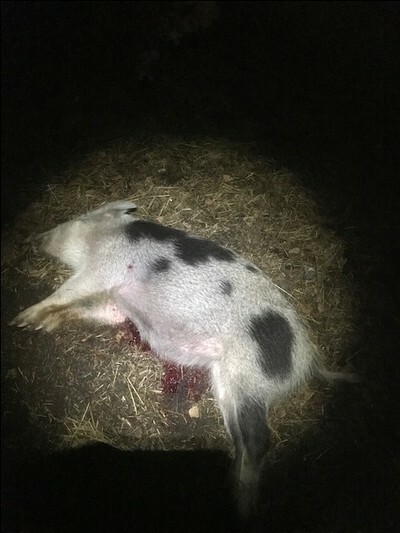 A colourful piglet and a sow came into a food plot one evening when it was full moon. My 30-06 talked and a 33kg wild boar ended up in the freezer. This Sunday we were out repairing some stands so everything is set until the driven hunts begin.